J. Wyndham Prince attended the annual 12d Solutions Pty Ltd International Technical Forum, held on the 29-31 July 2018 in Brisbane. We are delighted to announce that two of our senior design engineers, David Healy and Phillip Stoddart, were once again awarded an Innovation Award for Customisation in 12d Model. 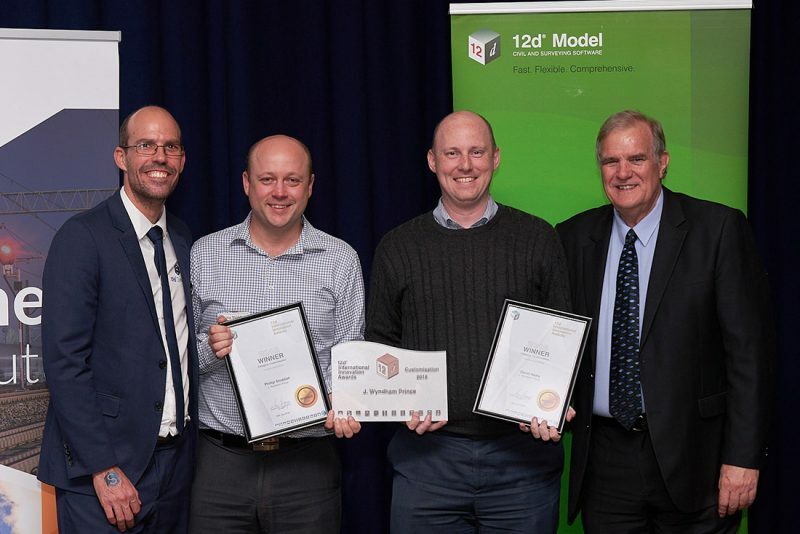 The talented pair, who created a tool which allows users to set-up 12d models more efficiently, also won an Innovation Award for 12d Synergy in 2016. The 12d Innovation Awards recognises inspired thinking and innovative solutions in civil engineering, surveying and data management. David and Phillip received their award in front of 500 industry professionals from Australia and New Zealand.